Tottenham manager Mauricio Pochettino says he’s delighted with the performance of midfielder Christian Eriksen and hopes he signs a new deal. 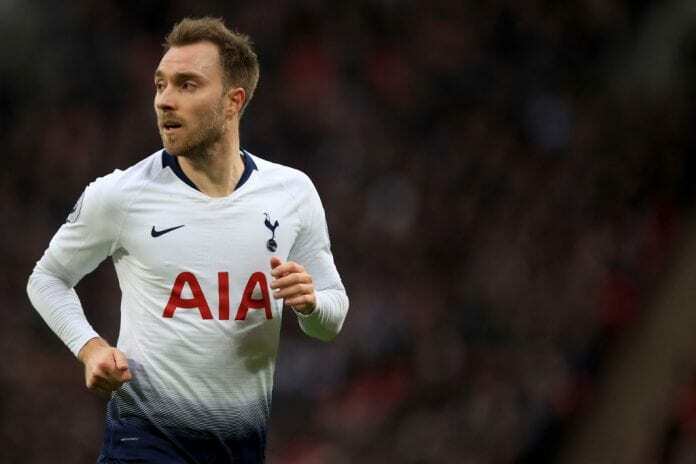 With his current deal at the club remaining 18 months, Eriksen has linked with a move to Real Madrid, claims that the Danish international has dismissed. However, Pochettino has revealed his complete trust in him, praising his quality on the pitch and urging him to commit his future to Spurs. “We hope that he can be here for a long time,” Pochettino told Sky Sports. “I think Christian is a fantastic player. I was in Copenhagen in the summer and spent a good time with my wife, and Christian, in a very nice restaurant! “We hope that Christian can commit to the club with a long-term contract – but in the football business, it is about timings and negotiations. “He is ready to wait. Maybe sign this week, maybe sign in six months. “For me, it is not a point to discuss. He is very committed with us and he is playing so well. He is a great player and I am so happy with him. “He is a special person and you need to give him some freedom on the pitch. “You cannot put him in a box to play, you need to give freedom and trust in him. “It’s like my dog in the park – I say, ‘go, I trust in you!’. Christian, you need to trust in him. Jan Vertonghen: Ajax knocking out Real Madrid & Juventus is crazy!